Misfits were my first favorite band when I was a teenager. There’s a certain pop sensibility to their songs, and Glenn Dazing’s Elvis-like yodeling is actually quite melodic. For a punk band, I think he was one of the better singers. Their songs are also very catchy, which helped ingrain almost every lyric into my young mind. The ‘horror business’ aspect to their lyrics was a bit campy, which gave them some innocence to my little Catholic schoolboy ears, unlike some of the other punk and death metal coming through my little foam headphones. I decided to cover ‘Astro Zombies’ in a kind of ‘country blues’ style to make an attempt to lighten the lyrics a bit, but I think it did the opposite. It’s an apocalyptic anthem, with zombies coming to pillage the earth, etc. Focusing on the lyrics and singing the words slowly gave the song a new heaviness. Listening back to this slowed down version, I realized that it’s pretty damn relevant to our current times. It wasn’t really my intention in my homage to the Misfits, but after the fact, it makes sense. When I visited Michael at his home a few years back, I learned that he loves chainsaws and chopping wood. I think I remember Michael telling me he wrote this song at a young age, when he was at art school in Hull, and that during the summers he worked in the forest close by. There’s an innocent nostalgia to this song I really love; thoughts of simpler times, longing to see some old friends, while hanging in your favorite place. ‘Among the Trees’ is one of my favorite songs of Michael’s. Listen to both covers HERE. 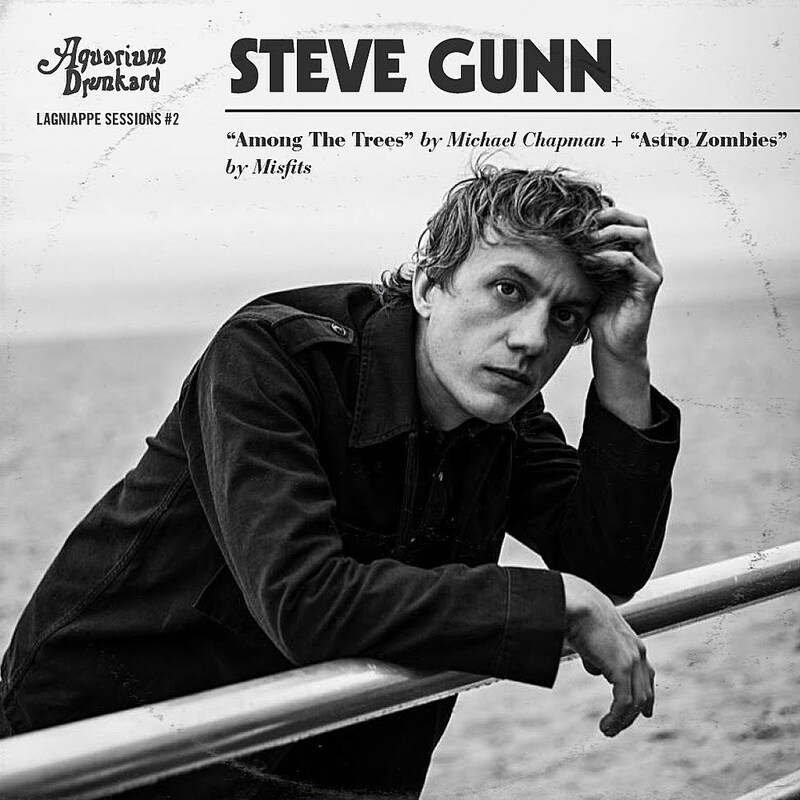 As mentioned, Steve Gunn is also touring, including a run with Meg Baird & Mary Lattimore that hits NYC’s Bowery Ballroom on 2/1 (tickets). All dates are listed below.